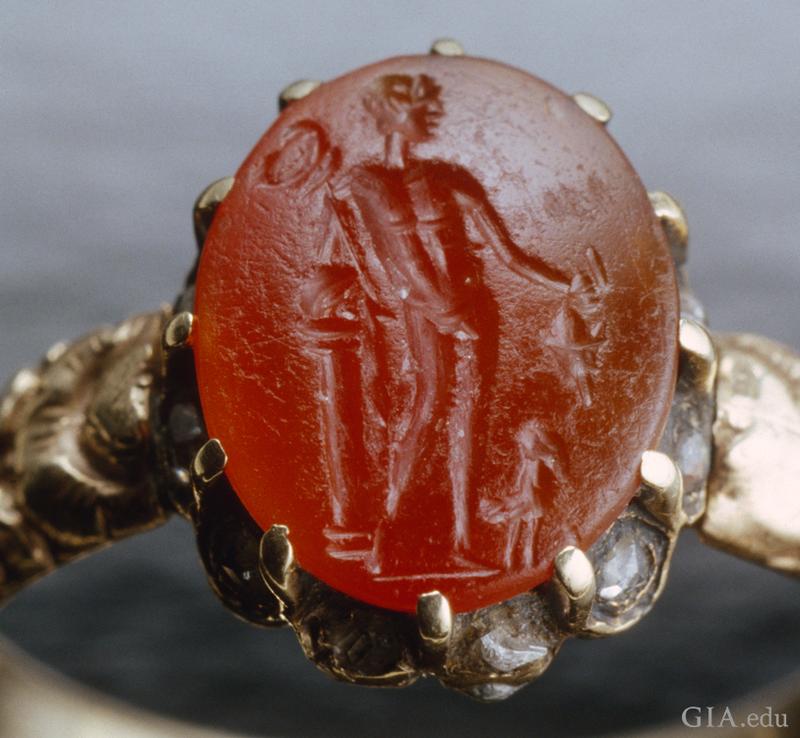 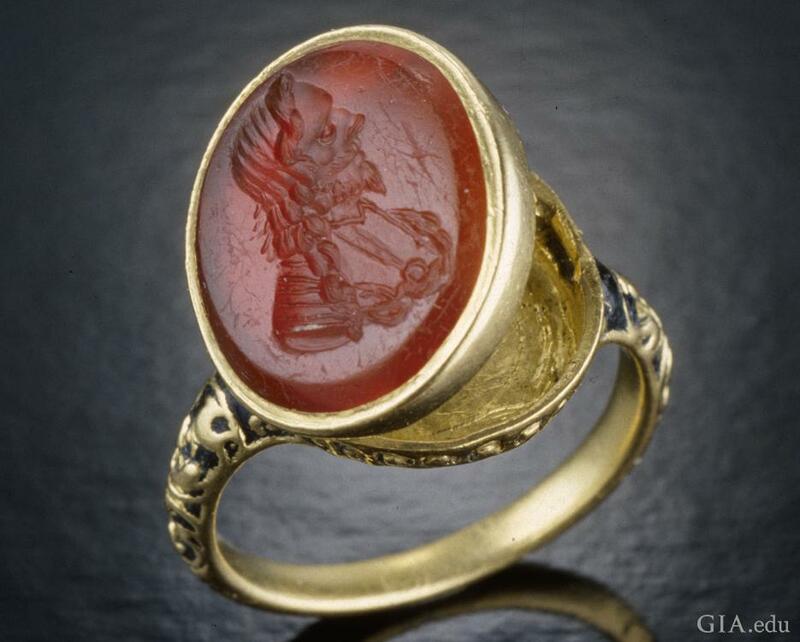 The discovery of large deposits of carnelian (an inorganic rock that is different from the shell cornelian, which is organic) and agate in the Idar-Oberstein region of Germany in the 16th and 17th century spurred a renewed interest in cameos. 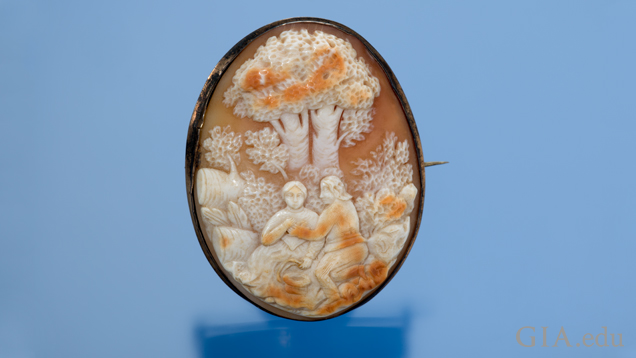 Onyx, sardonyx, carnelian, jasper and quartz were widely used materials during this period and are ideal for carving because of their relative hardness and color zoning. 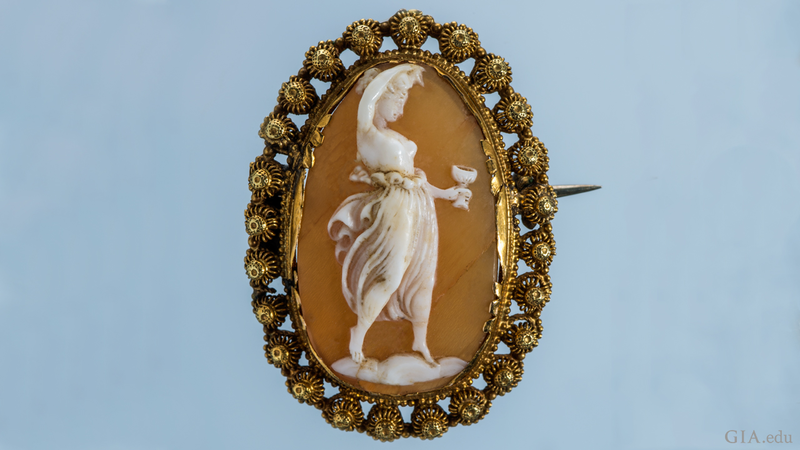 Queen Victoria went into mourning after Prince Albert died in 1861, but did not give up her penchant for wearing jewelry. She often chose jewelry made of jet, a fossilized form of coal. 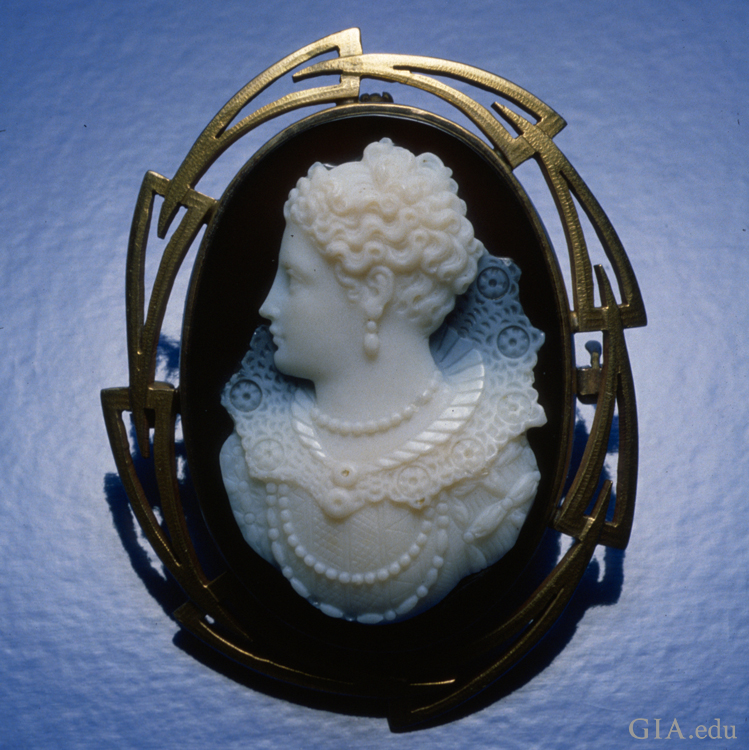 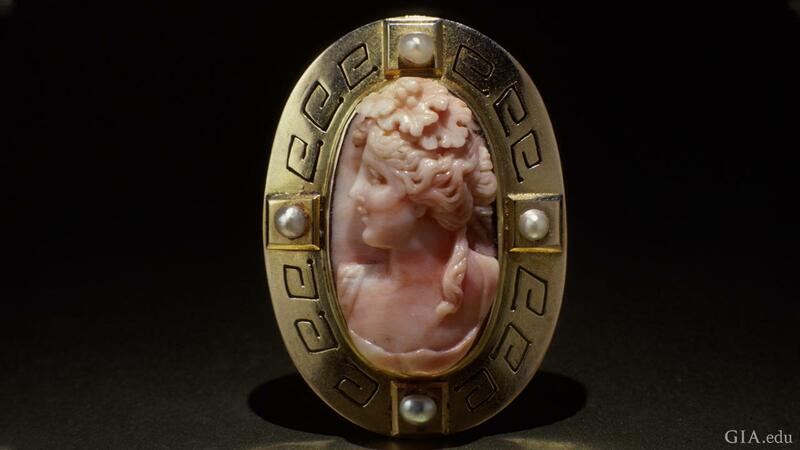 Lava cameos also rose in popularity as mourning jewelry during the Victorian era. 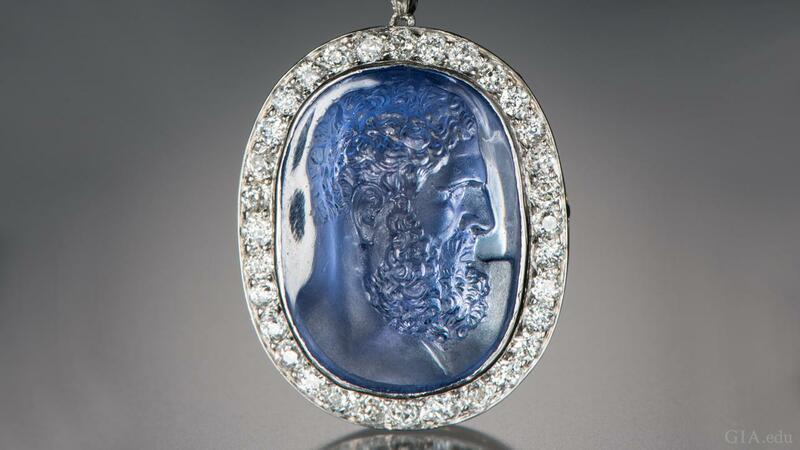 Enterprising artisans realized that lava from the remains of Pompeii was a suitable material for carving cameos. 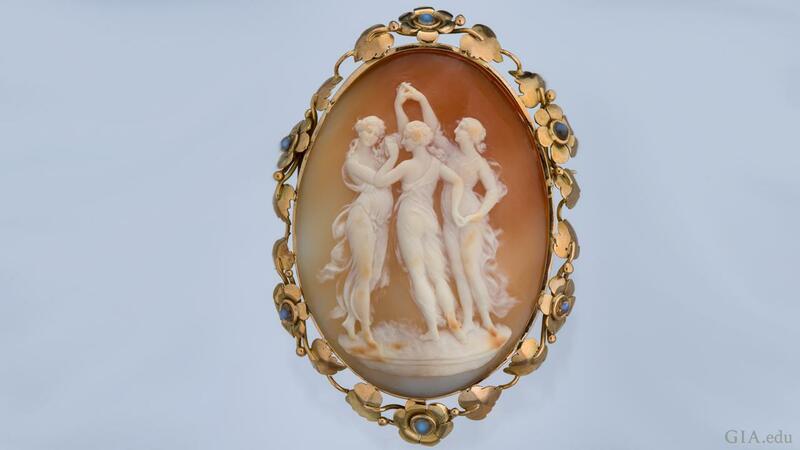 These were sought after as a souvenir by status-conscious Victorians to show they had taken a European tour. 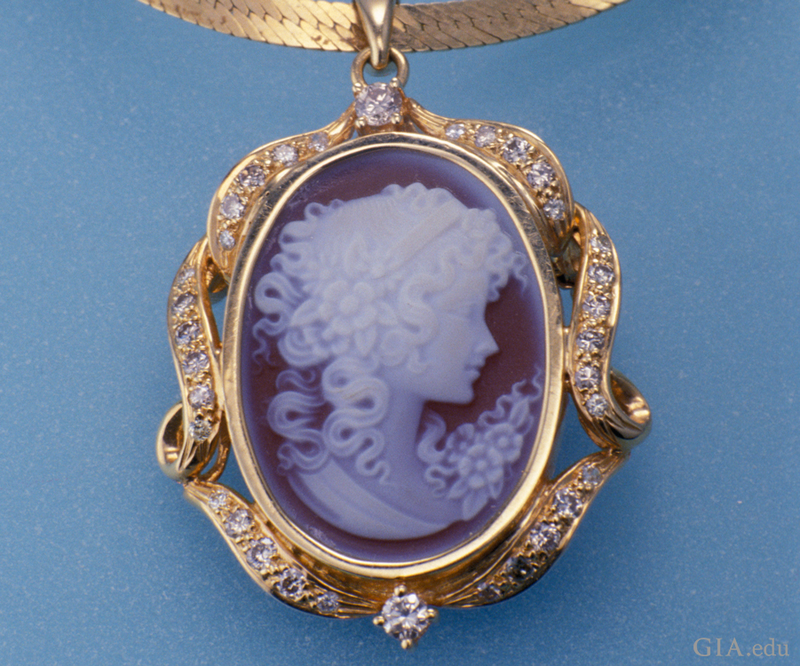 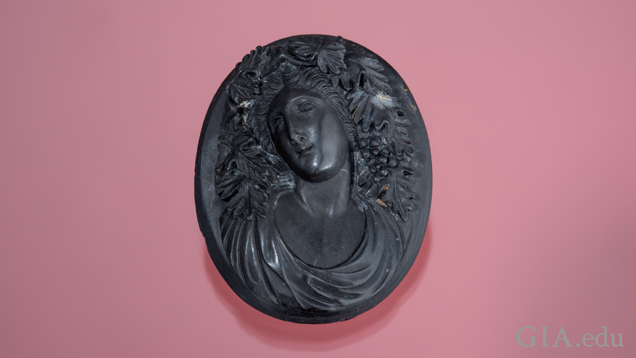 Jet and lava are suitable for high relief carving – a quality factor in evaluating cameos – and are collectible. 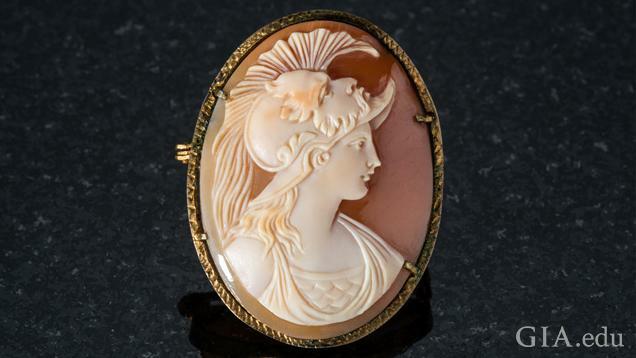 Cameos continued to be popular after Queen Victoria’s death and artisans expanded their carving materials to include turquoise, ruby, lapis lazuli, aquamarine, peridot and topaz. 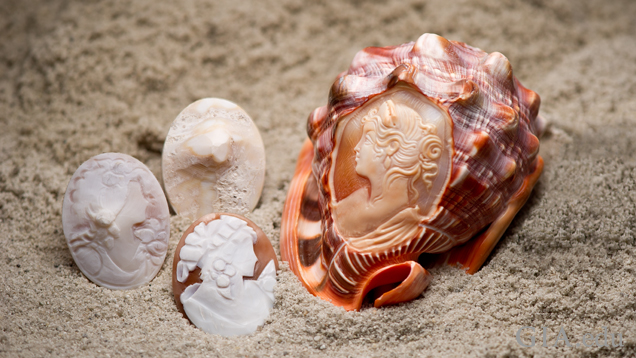 Patrick Dreher shared how he transforms rough stones into intricate lifelike animal carvings with students at GIA’s campus in Carlsbad, California.